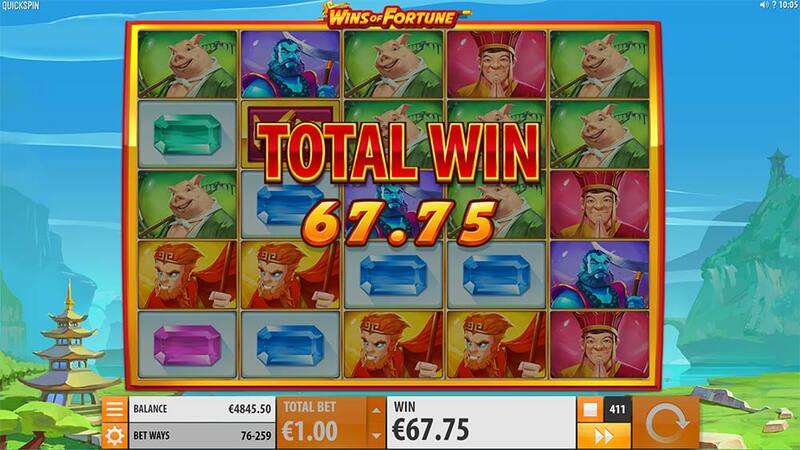 Wins of Fortune Slot, New Expanding Reel Slot From Quickspin. 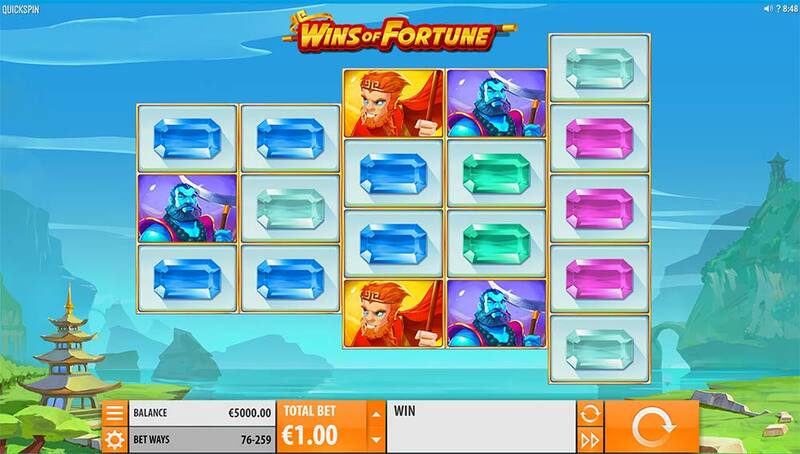 Vera and John Casino has just added the latest Quickspin slot titled Wins of Fortune to their casino along with a whole host of older slots from some recently a added providers to bolster their range of games even further. 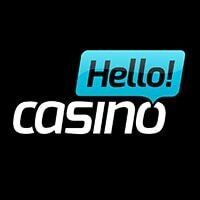 Players will now find slots from Blueprint Gaming (Wild Antics), Leander (Wild Jane), and iSoftbet (Forest Mania) now playable at the casino along with several other new titles. 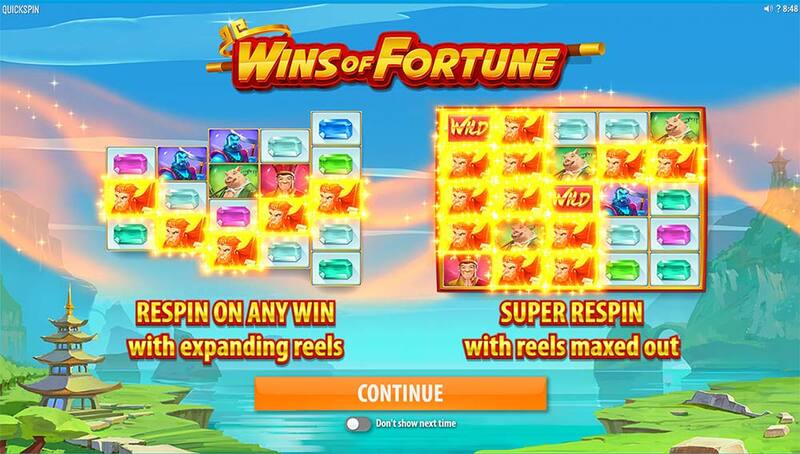 The main focus of this article, however, is the latest Quickspin slot which features a unique expanding reels feature along with Re-Spins and Super Respins. 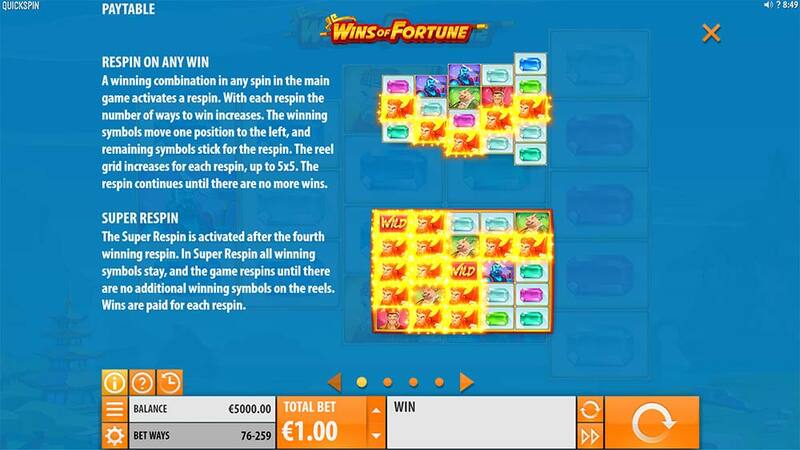 The Wins of Fortune slot uses an unusual reel set which begins as a 3,3,4,4,5 reel slot similar to those found on games such as Motorhead and DazzleMe. If any new wins are created on the respin then the process continues, and if 4 successive wins occur the slot will have expanded to becomes a 5×5 in size granting a Super Respin. Whilst this might sound a little confusing it’s actually quite simple in process and with no free spins round to trigger the gameplay is actually very simplistic. All of the special mechanics to Wins of Fortune are explained in the promotional video below. 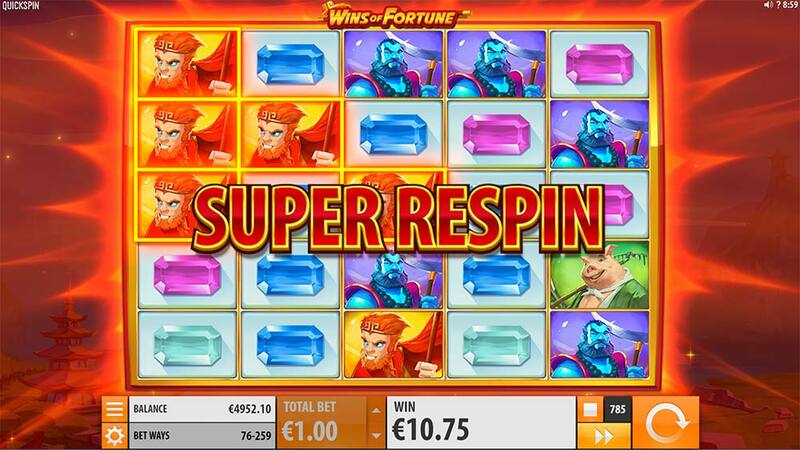 The Super Respins feature is activated once 4 consecutive wins have occurred in the base game, this feature can trigger fairly easily given the expanding reels and the growing number of paylines with each respin in the base game, however triggering it with a premium higher paying symbol can be somewhat more difficult. Once the Super Respin is triggered all of the winning combinations are held in place on the reels and you play out this Super Respin on the full size 5×5 reel set up. Any new matching symbols that occur during the Super Respin are held in place, pays are awarded and a new Respin is awarded, this process continues until no new wins are created on the reels, this can last for several Respins and will pay out on each one. 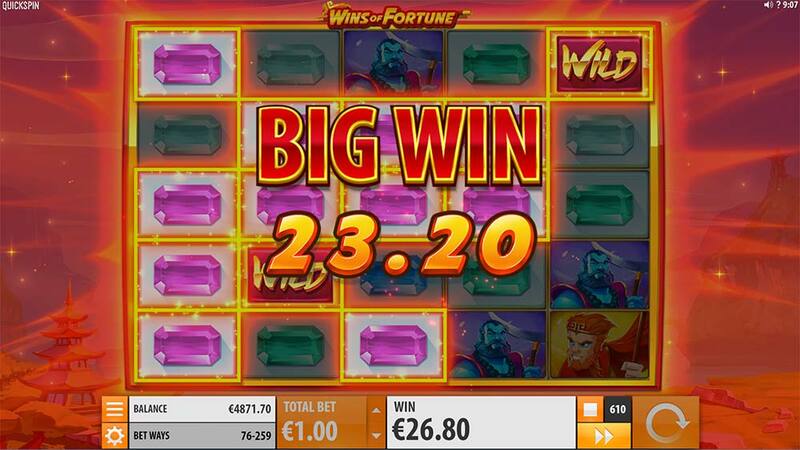 The Wins of Fortune slot is a fairly average release from Quickspin, the graphics and sound are up to their usual standard but we found the lack of a proper bonus round made the gameplay feel a little underwhelming. Whilst the Super Respins can definitely be exciting and produce some decent wins (in our playtests up to 80x stake) we feel the lack of the main bonus round feature really affects the long term appeal of this slot. With an RTP of 96.54% and nothing to interrupt the main game, this might be a great choice for wagering through bonuses given the low to medium volatility.